After a sleepy opening half the game woke up with a blast as the Gaels took both points with an injury time goal. 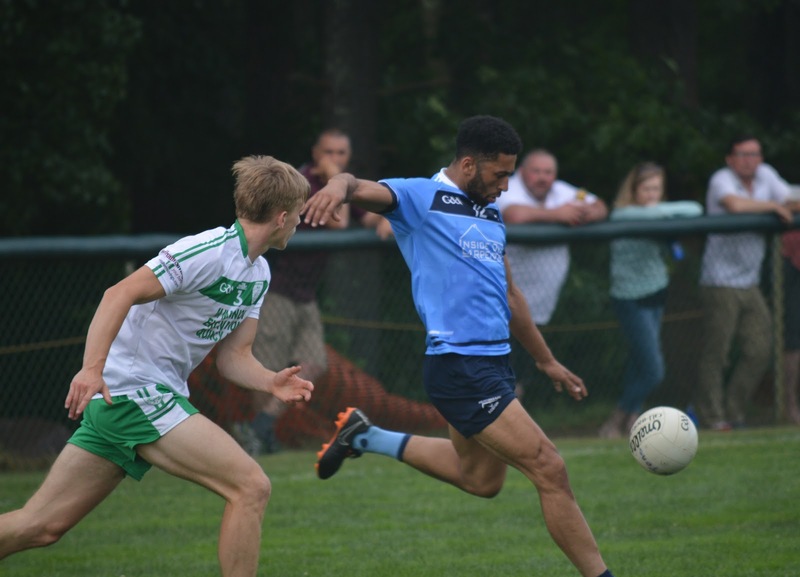 The Tones looked to have the points in the bag against a misfiring Gaels team, but 2 second half goals ended up delivering the goods for the Connemara Men. Wolfe Tones Dean Curran shoots. It was a low scoring first half, with the Gaels in particular missing a plethora of chances to score. With just a solitary point to show for their efforts, the Gaels forward line must have felt sheepish heading in to the break. The Tones fared a little better, chances were taken by Paddy Keenan, Robbie Cunningham and Dean Curran. Both back lines were on top, Martin O’Conner did a diligent job at corner back for the Gaels, and in fairness it was the Connemara men who held somewhat of an advantage in terms of possession, but at the half it was a 0-4 to 0-1 Tones lead. Things picked up somewhat and it became and exciting affair. After the teams traded points to get the second half going the Gaels hit with a goal. Glenn Malone was on the spot to bury the loose ball, and the teams were all even. The Tones had their chance to score when Deeney was leveled in the penalty area, however Warren Kavanagh tried to place the ball and chipped it over the bar. The Gaels generated plenty of chances, but on each occasion took the goal option, and Tones keeper, Shane Hayes, was up to every shot. The teams traded points before the Tones put three unanswered over the bar. Keenan, Curran and a hard earned effort from Kavanagh had the Tones in a four point lead and the clock ticking into the final 5 minutes. With the rain starting to fall, the Gaels kept going forward, but kept their patience and points from Colm Mannion and Sean Mulkerrins reduced the gap to 2. Time almost up and one last chance as the Tones did not capitalize on the possession they had. Colman Mulkerrin made a run through the middle, and fluffed his shot but Hayes could only parry the effort into the path of Ryan Galvin who made sure with his side footed finish. It was a steal by the Gaels in the end, but not undeserved on the balance of play. Tones: Shane Hayes, Kevin Maguire, James Healy, Connloadh Deeney, Eoin Buggie, James Dolan, Ronan Jones, Aaron Elliott, Mike O’Brien, Paddy Keenan, Jack Lynch, Dean Curran, Robbie Cunningham. 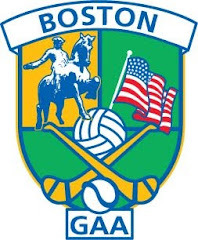 Gaels: Eoin Connolly, David Black, Martin O’Connor, Joe O’Shea, David Lynch, Patrick O’Donnell, Matthew O’Sullivan, Colm Brennan, Coleman Mulkerrin, Kenny Gavigan, Glenn Malone, Ryan Galvin, Rory O’Connor.